Over 70 percent of the adult population own smartphones, over two million of whom report them stolen each year, with another three million reporting them lost. Simply put, there is a decent probability that you’ll lose your smartphone at some point in time, be it from theft or carelessness. I consider myself to be a pretty careful and cautious person, but just last year I left my smartphone in the console of my rental car…and only realized it after I’d gone through the security check. It happens. Let’s just assume that you will lose your smartphone at some point, wouldn’t you want the peace of mind from knowing that you’ve safeguarded your information? 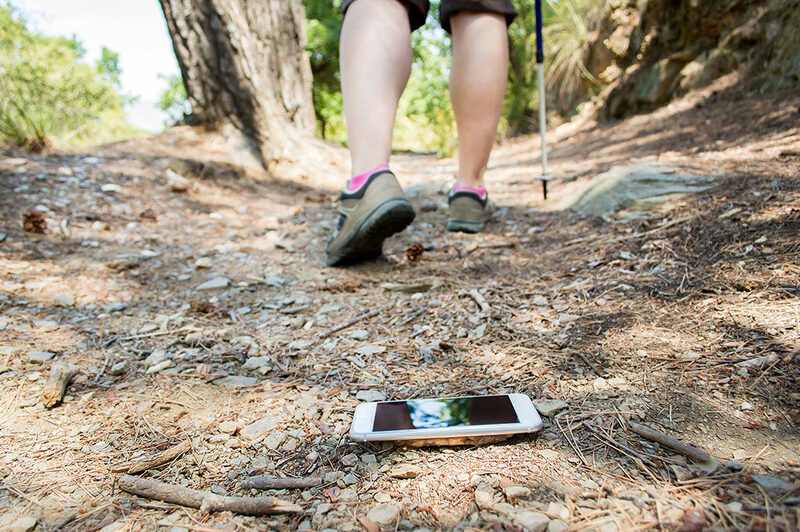 Lucky for you, we’re sharing tips to prepare yourself before you lose your smartphone! With the average cost of a replacement phone hovering just over $500, only 20 percent of Americans elect to carry smartphone insurance. $500 is a decent chunk of change, and having a small insurance fee built into your monthly bill can pay off, should your phone be damaged, lost or stolen. Some companies will also replace accessories, such as a car charger, phone case and earbuds, in the event your smartphone is stolen. If I told you that only 34 percent of smartphone owners lock their phone, would you be surprised? I used to be a part of that statistic. I’m not one of those people who are “all-in” with my smartphone, but I can tell you that if my phone was unlocked, and stolen, those thieves would have access to two email accounts, all of my social networks, apps to stores and services with my payment information stored, photos of my family with geo-tags telling them where I live, Google Docs, and messenging apps. Everything one would need for identity theft is stored in my phone, while many others have their appointment calendars, and even Apple Wallet for digital payments. If you’re in that 34 percent, you need to stop reading this right now and set your phone lock. Now that you’ve set your lock, the next thing you need to do is to get into the habit of logging out of your accounts after use. This means social networks, email and apps. For those that feel the need to be connected on a constant basis, this is not going to be easy. In fact, the very reason you initially got your smartphone was so that you’d receive email and social network notifications in real time. If you want to avoid a nightmare if you lose your phone, even if it’s locked (professionals are easily able to hack into your phone), logging out of your accounts can provide an added safeguard against a violation of your personal information. Again, I’m guilty. I typically wait until the last minute to backup my phone data, or until I receive a message telling me that my storage is full. Get into the habit of regularly backing up your phone, either to a computer, hard drive or Cloud, so that you’re not stuck in a lurch if you lose your smartphone. I can’t tell you how often I see friends on Facebook putting calls out because they’ve lost their phone…and contact list along with it. Back it up. We’d be reticent if we didn’t mention Phone Lasso here because we’re in the business of preventing phone loss and theft. Whether you’re a lanyard, wristlet or carabiner kind of person (or all three! ), we’ve got you, and your phone, covered!